Caring Together were invited as special guests last Friday to a celebration of the upper school building being open for one year. The opening ceremony was conducted by Hilary Benn M.P. 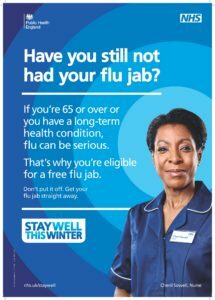 who is also a patron of our organisation. 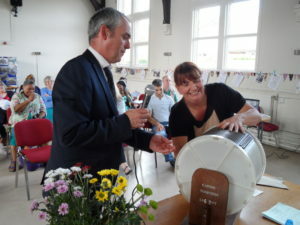 Lisa Argyle attended on behalf of Caring Together. 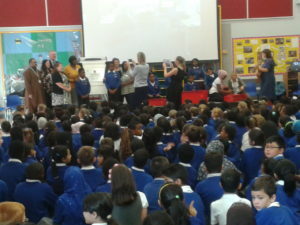 This was a proud moment for all staff, pupils and parents and Caring Together were pleased to be there. 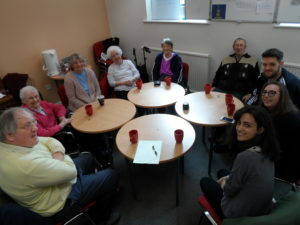 The Memoirs Group at Caring Together were joined today by students from LUUMIC (Leeds University Union Music Impact in the Community). LUUMIC is a student-led society that runs a number of projects involving music and the wider community of Leeds and the surrounding areas. 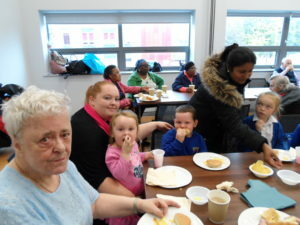 LUUMIC will be visiting most Caring Together groups on an almost weekly basis over the next couple of months. As in previous collaborations between ourselves the session was greatly enjoyed by the members. This mornings group focused on Music, Past and Present and members and students talked of artists that ranged from Roy Orbison, Acker Bilk and Ruby Murray through to Lukas Graham and Michael Kiwanuka. 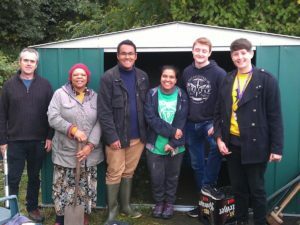 Earlier in the year Students from Leeds Beckett partly erected a shed on the Caring Together allotment. They came back on Friday to move the project forward and completed the roof. Many thanks to all at Leeds Beckett who were involved in organising this and helping on the day. Thanks again to the Grove. 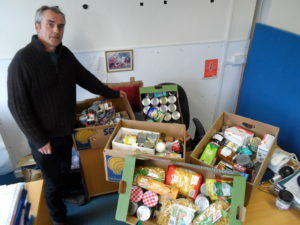 Caring Together would like to once again express our gratitude to the church and parishioners of the Grove Methodist Church in Horsforth for the wonderful donation of produce to Caring Together from their Harvest Festival collection. 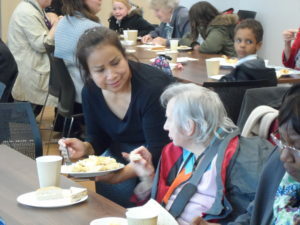 As with last year the food will be distributed to older people in the two areas in which we provide support with particular emphasis on ensuring that the benefits are enjoyed by those most in need. 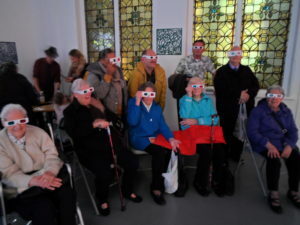 After the movie and the social afternoon, many of the Caring Together members and the pupils of Little London Primary School and their parents walked into town to see the entertainment on offer. 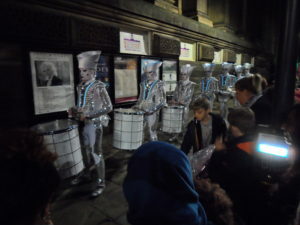 Many had not experienced Light Night before and were amazed at the range of sights and sounds that greeted them. Another great joint social event between the school and ourselves. A special thanks to Leeds libraries who ensured that there was plenty to do for the children, and had accommodated us earlier than they had planned to start. 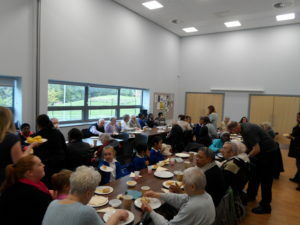 After the CT Lounge on the 7th October Caring Together members joined with pupils and parents of Little London Primary School for a social afternoon with food and drinks provided by Caring Together and a wonderful selection of cakes among other things provided by the parents of the children. 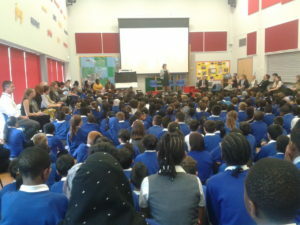 This was part of an increase in joint work between the school and ourselves and was well received by all who took part. This has been a great partnership so far and long may it continue. 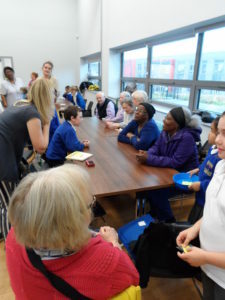 Many thanks to all of the staff of Caring Together, and the staff, pupils and the parents of Little London Primary School who made the afternoon such a success. 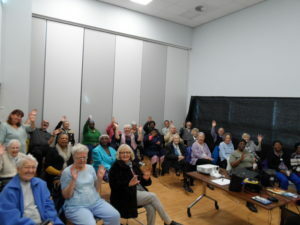 Caring Together held another film afternoon at Little London Community Centre on Friday 7th October. 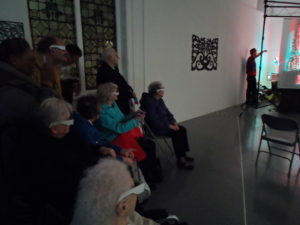 This was part of the International Day of Older People. 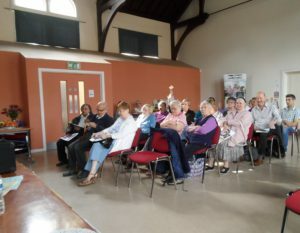 Thanks to Leeds Older Peoples Forum who provided, through a Community Grant, funds towards transport and refreshments. By popular request Seven Brides for seven brothers was screened with a great response. 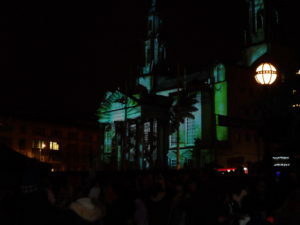 This was the start of the build up to Leeds Light Night. All present feel that these afternoons are a great success and requested more of the same. 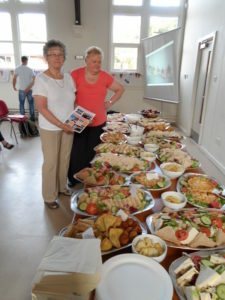 The Caring Together Walking Group had its annual outing last week. 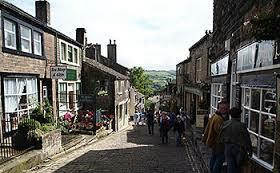 This time it was to Haworth. A great time was had by all and spirits were only slightly deflated by the three hours it took us to return home. If anyone is living in Woodhouse and Little London, is interested in becoming a member of Caring Together and wishes to join the Walking Group then contact John on 0113 2430298. 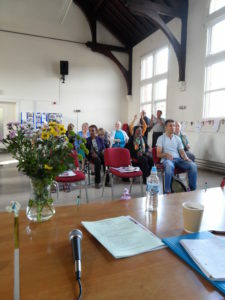 Caring Together held it’s AGM on the 23rd September at Woodhouse Community Centre. Prior to the formal matters that needed to be dealt with, the afternoon kicked off with an exercise session facilitated by Julie Gill who runs the exercise classes at various Caring Together Groups. 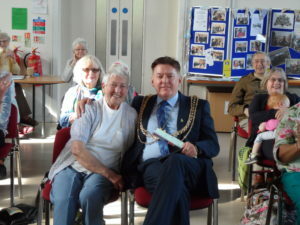 The Lord Mayor, Gerry Harper, attended and spoke at the event and the Caring Together lottery, now in it’s second year, was drawn. 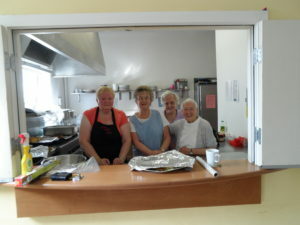 A special thanks to our dedicated band of volunteers who once again prepared the food and the hall for the day and without which this and other functions would not take place so successfully.